Starbucks has been continuously updating how its customers can redeem its iconic Pick of the Week promotion. 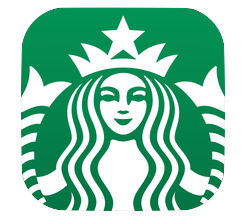 Last year, the chain started offering digital Pick of the Week through the Starbucks app. Starbucks then updated its app to support redeeming Pick of the Week cards with the device’s camera. Now for the first time, the Starbucks App is offering an in-app purchase as its Pick of the Week: a month of Lumosity‘s service. 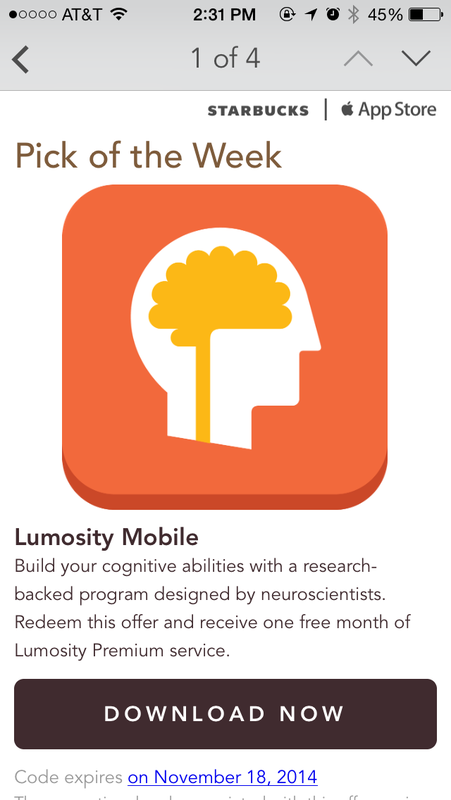 The Lumosity app contains several different brain teasers that are based on neuropsychological and cognitive tasks designed to challenge users. The premium subscription is worth $15 and includes more than 40 games online, performance tracking, a personalized brain training experience with daily exercises, and comparison to others in the same age group. This promotion will expire on November 18th and has to be activated on an iPhone or an iPod Touch via the Starbucks app. Once it is activated, the premium features will be available on all platforms. 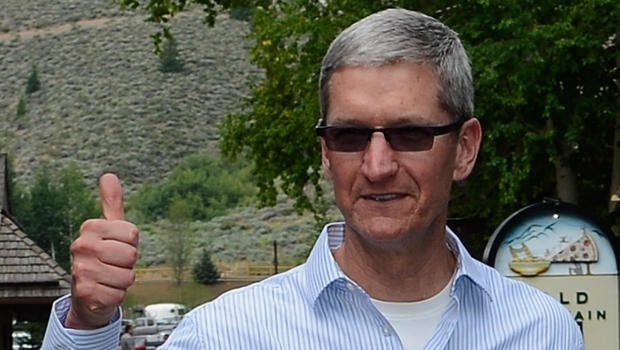 That auction for coffee with Tim Cook we showed you last month wrapped up today, and it looks like the Apple CEO severely underestimated his value. Tim Cook and Charitybuzz hoped to raise $50,000 for the Robert F. Kennedy Center for Justice and Human Rights, but the final price for an hour long cup of coffee with Mr. Cook ultimately reached $610,000 just before bids closed today. Apple CEO Tim Cook appears to be offering up his services to charity auction site Charitybuzz in hopes of raising an estimated $50,000 to support the The RFK Center for Justice and Human Rights. By services we mean the winning bidder will get the opportunity to have coffee with Apple’s top exec at Apple’s headquarters in Cupertino, California. The auction listing notes that it was “Donated by: Tim Cook” and after opening earlier this morning currently has two bids of just over $5,000. Starbucks today launched the next iteration of its iconic Pick of the Week promotion. Previously, customers could pick up a physical card featuring a promo code to redeem the Pick of the Week app, but starting today customers have the additional option to make a free Starbucks account and redeem the app directly from the free Starbucks for iPhone app, circumventing a trip to a physical location. The promotion showcases and gives away a paid app from the App Store, much like Apple’s own App of the Week campaign. Check out 9to5Toys for the latest App of the Week, Angry Birds Star Wars.